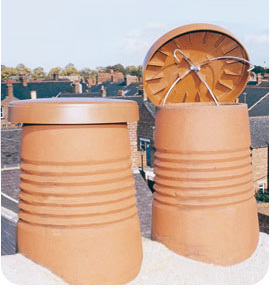 Designed to fit a standard round pot, the C-Cap provides 100% protection, while also allowing essential trickle ventilation of the flue and helping to minimise heat loss. Available in two sizes, the smaller of which includes an optional insect screen for added protection from ingress by swarming bees, C-Caps are injection-moulded from tough, UV resistant, thermoplastic and provide a robust, long-lasting, solution to the problem, at an affordable price. 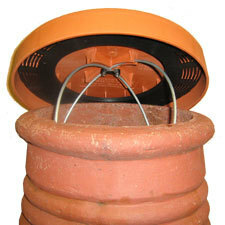 Held securely in place on the pot by galvanised steel spring wires, they take just seconds to fit and are aesthetically complimentary to the traditional appearance of the chimney.